Thomas Moore who wrote Care of the Soul and Dark Nights of the Soul, now brings us a book on soul and aging. Need I say more? Recommended by Alena. Thomas Moore is the renowned author of Care of the Soul, the classic #1 New York Times bestseller. 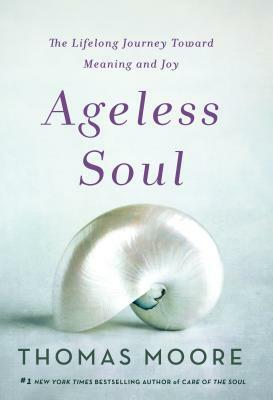 In Ageless Soul, Moore reveals a fresh, uplifting, and inspiring path toward aging, one that need not be feared, but rather embraced and cherished. In Moore’s view, aging is the process by which one becomes a more distinctive, complex, fulfilled, loving, and connected person. THOMAS MOORE is the New York Times bestselling author of Care of the Soul, as well as many other books on deepening soul and cultivating a mature spiritual life, three of which have received the Books for a Better Life Award. At turns he has been a monk, a musician, a university professor, and a psychotherapist. Today he lectures widely on creating a more soulful world and on spirituality. He lives in New Hampshire.